Good guys not only finish last, but they also end up in tears, sitting in abandoned hallways, facing a life devoid of love ones. 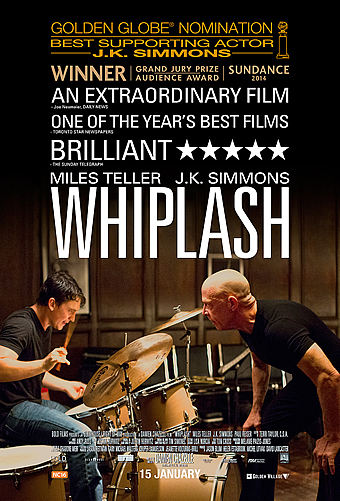 Or at least that’s the moral of the movie Whiplash, which tells the story of a young jazz drummer (Andrew Neiman, played by Miles Teller) attending a prestigious music school in New York. Neiman’s lone dream is to become the next Buddy Rich. 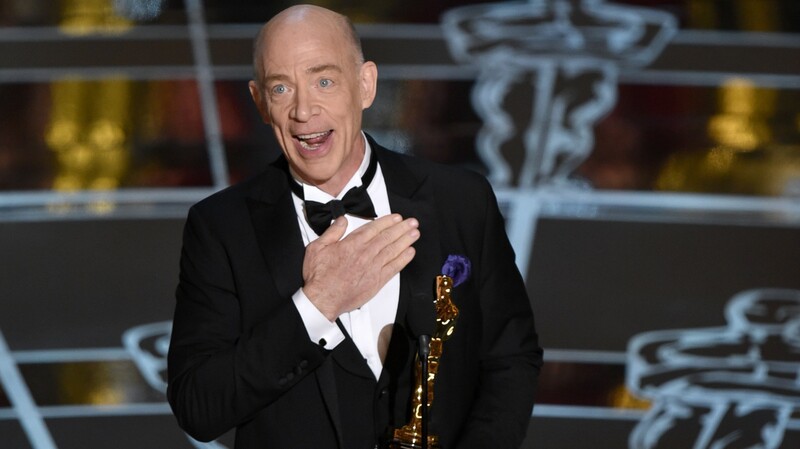 While practicing late one night, Neiman finds he is being observed by Terrence Fletcher (played by JK Simmons), the god-like instructor of the school’s top band, which has won both national and international acclaim. The interaction doesn’t go well. But the erstwhile Svengali sees something in Neiman and eventually invites him to join his class, which is where the student begins to see the master less as a dedicated and willful but nurturing teacher and more as the manipulative, malevolent force striving for an unreachable ideal. 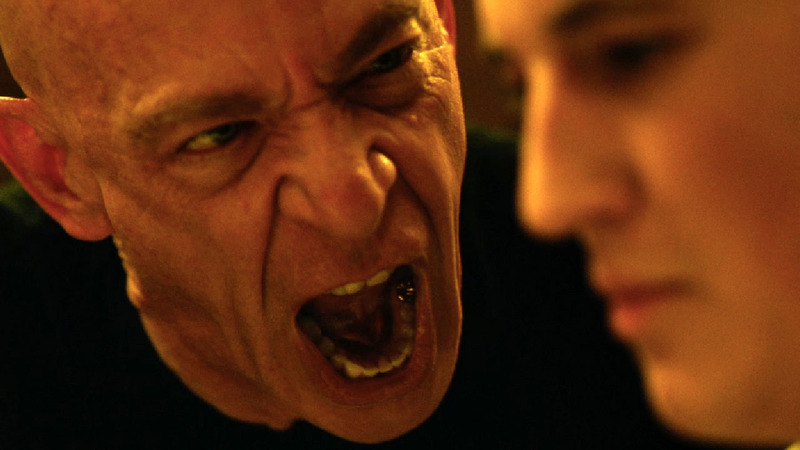 Perfection or death is Fletcher’s creed, and if you’re not willing to kill yourself over your failings, he is willing and eager to do it for you. You are using up valuable oxygen. 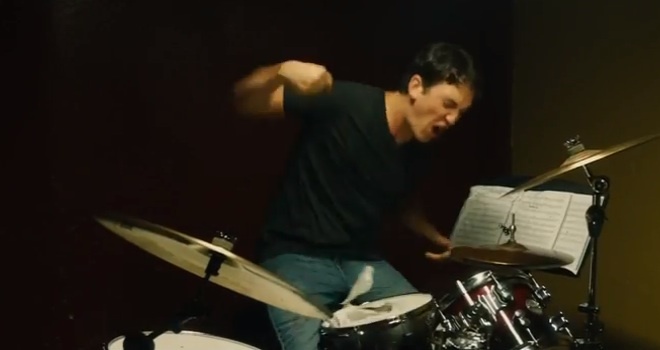 Even in the face of this unending physical and emotional torture, which includes an airborne chair, however, Neiman is willing to sacrifice everything to become the Charlie Parker of the drums. And that sacrifice extends to his budding romance as well as his family. But even that is not enough for Fletcher and we watch Neiman self-immolate while the monster emotionally fiddles with everyone’s lives. Unsatisfied with Neiman’s ashes, however, the master lures the student back with a siren song of greatness in a move that only the audience can see is designed to destroy Neiman yet again. But just when Satan achieves his final triumph, he is surprised to learn that his fallen Angel has learned a few things. And this is the ultimate Fall of Man of which we hear in poetry. The final moments of the film are like watching Luke Skywalker take Darth Vader’s offered hand on the catwalks of Cloud City and unite to rule the Empire, destroying both the Emperor and the Rebellion in one moment. Throughout the film, the heart palpitates until threatening to arrest from the crushing weight of the increasingly up-tempo music (think frenzied, not dancing) and Fletcher’s relentless pounding on Neiman’s soul. By the end of the movie, you will be exhausted and sated by the ecstasy of what has been achieved. It will only be later, in the calm aftermath of normal life, that you will begin to understand the dreadful cost of that achievement, not just for Neiman but also for humanity. If the documentary Blackfish drove people away from marine parks, it wouldn’t surprise me if Whiplash drove parents away from music schools. Simmons won the Academy Award for Best Supporting Actor (and Golden Globe, BAFTA and SAG) for his performance as Fletcher, although as crucial to the story as his role was, it could be argued he was a co-lead. And although I admit to not seeing the films of any other performers in this Oscar category, I am surprised the award was given to Simmons. The man’s performance was quite good—he played Fletcher so malevolently, I would probably take a swing at Simmons if I saw him—but it didn’t feel like the character required a lot of the veteran actor aside from pushing the portrayal beyond anyone’s comfort zone. Again, however, despite all of these wonderful facets, it was the moral Fall of Man in the face of all this magnificent music that bothered me. For if nothing else, it made me question the purity of artistic expression and whether it was worth the exorbitant cost of another human soul. The moment of our greatest achievement, writer/director Damien Chazelle tells us, is also the moment of our greatest loss. I find that sad. 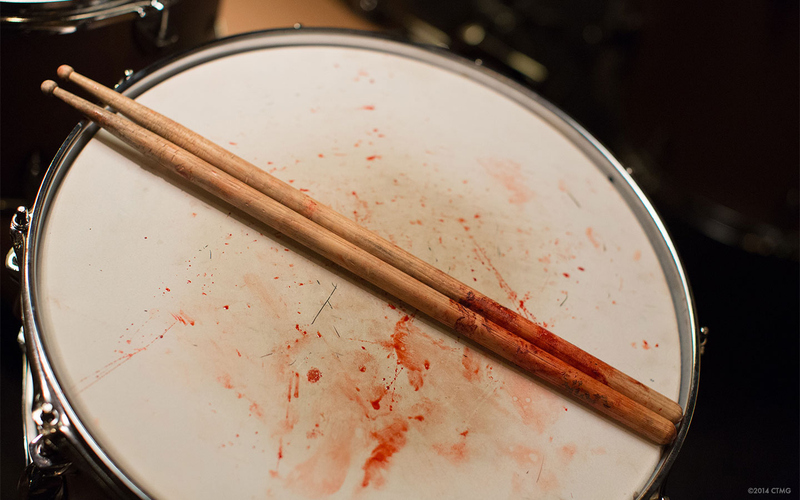 This entry was posted in Reviews and tagged Academy Awards, acting, art, awards, BAFTA, Blackfish, Buddy Rich, catharsis, Charlie Parker, climax, crisis, drums, editing, evil, Fall of Man, Golden Globes, jazz, JK Simmons, mania, Miles Teller, movie, music, review, sacrifice, SAG, Satan, sound, Star Wars, Svengali, Whiplash. Bookmark the permalink.